Two lane highways and cliffside drives dominated my driving in Montenegro. Knowing me, it was a good thing I didn’t know that the coast of Montenegro was a series of steep rock faces heading into the Adriatic Sea; otherwise, I might not have rented a car. Surprisingly, it didn’t bother me as much as it usually does! 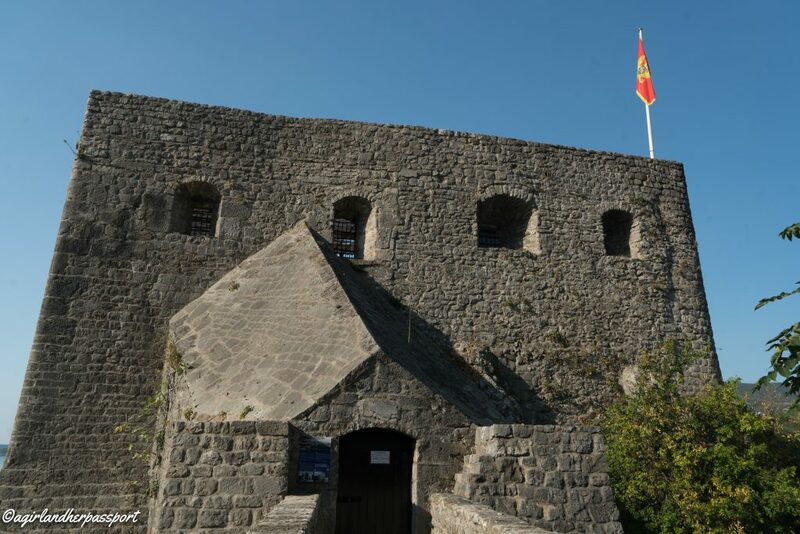 Renting a car is the most efficient way to see the Old Towns of Montenegro. Here are my tips for driving in Montenegro and not going over the cliffs. Almost every road was a two-lane road. The only place I went in Montenegro that had more than two lanes was Budva and that was only in the central part of town. Many of these roads were narrow, and you share the roads with tour buses and public buses. 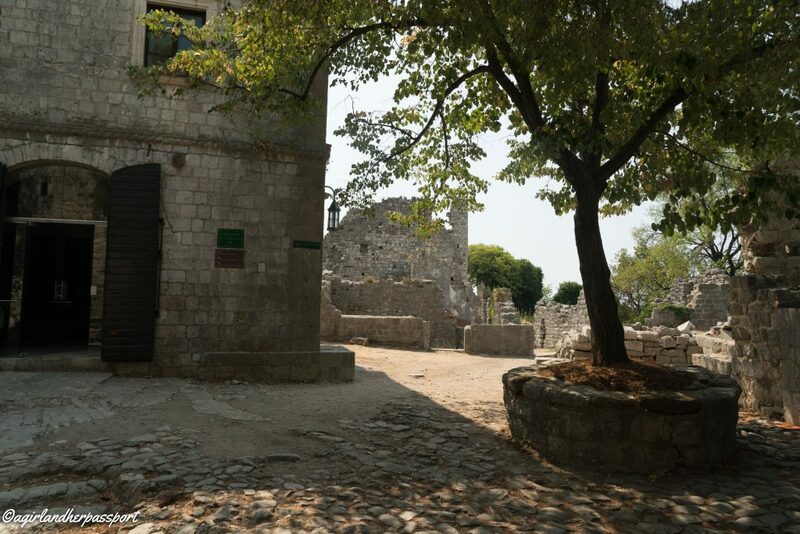 These narrow roads started just after Herceg Novi and continued to Bar. Since I stuck to the coast of Montenegro, I am not sure if the roads inland are wider or more than two lanes. The narrow lanes bothered me more than the cliff driving, probably because I couldn’t see the edge or the water from the cliffs in most cases. Most of the roads I drove on were in decent shape. This is especially true near the towns. However, some of the bridges seemed like they needed some work. Although, none seemed dangerous. Rural roads are not in as good of shape according to the articles I have read. Due to the narrow roads and the lack of multiple lanes, traffic can be an issue in the towns. I noticed that traffic was very heavy in Kotor when there was a cruise ship in the bay and even worse if there were two cruise ships or if it was a large ship. Most of the traffic was centered around Kotor old town. Getting into Budva was another place I saw lots of traffic. After I left Montenegro, I learned that Budva is a popular beach spot for Eastern Europeans and that explained the amount of traffic there. As in much of Europe, you drive on the right in Montenegro. According to the rules I have looked up, you should drive with low beams on during the day in Montenegro. I only discovered this after I saw people doing it. Obviously, you will want to drive with your regular lights on during the night. I also turned them on when going through the mountain tunnels. The speed limit varied a lot on the roads and sometimes went down to 30 Kmh in towns. Pay attention to the signs as they changed quickly and the fines for speeding more than 10 Kmh are steep and can include jail time. My GPS beeped at me when it knew the speed limit was changing and I was going over it. Hint, rent the GPS from your car rental company. Seatbelts are required. I did see cops pulling people over, but never saw a radar gun. They may have just been pulling people over to check papers. This never happened to me, though. They also just wave at you to pull over and were not chasing people down in their cars with a siren or lights. An international drivers license was not required, but I did rent my car in Croatia, check prices here. My advice is to have one if you are planning on driving overseas in any country. They do not cost much, and it is better to be safe than sorry! The legal drinking limit is very low at .03% so my advice would to just not drink and drive in Montenegro. It isn’t worth going to jail in any country for a drink. Parking in Montenegro was a bit haphazard. My Airbnb advertised free parking, but in reality, it was pullover as close to the wall next to the house as close as possible next to the street. It was a good thing my rental car was small and I never saw large passenger cars in Montenegro. Many areas in Montenegro had paid parking areas. At first, I was reluctant to do use the paid parking as usually, it is expensive, but then I saw how cheap it was and I immediately started parking in the paid spots. I never paid more than €3 for parking. In some towns, there was free parking, but it was usually full. In Herceg Novi, I couldn’t figure out where to pay. I asked an official-looking man in the parking lot and I had to go to the mini market and pay and then put the ticket on my dashboard. Most of the other parking was take a ticket and pay on the way out or pay an attendant. Overall, driving in Montenegro was pretty easy. 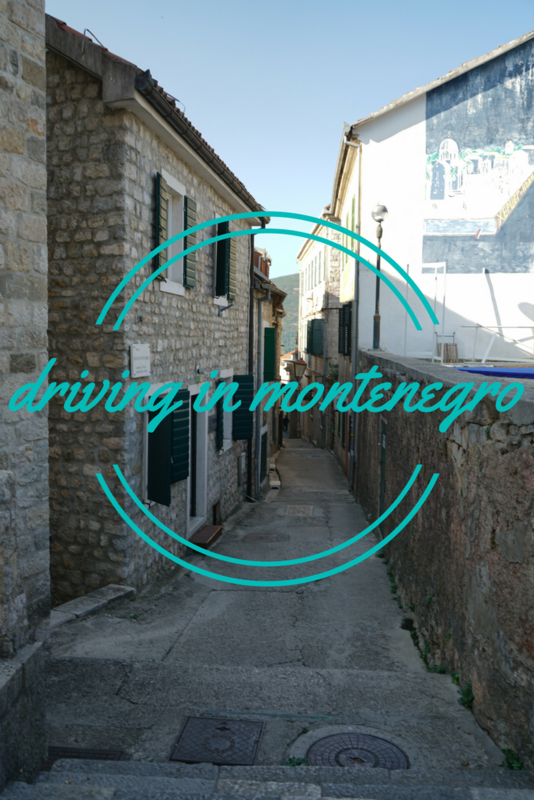 Have you driven in Montenegro? What was your experience? 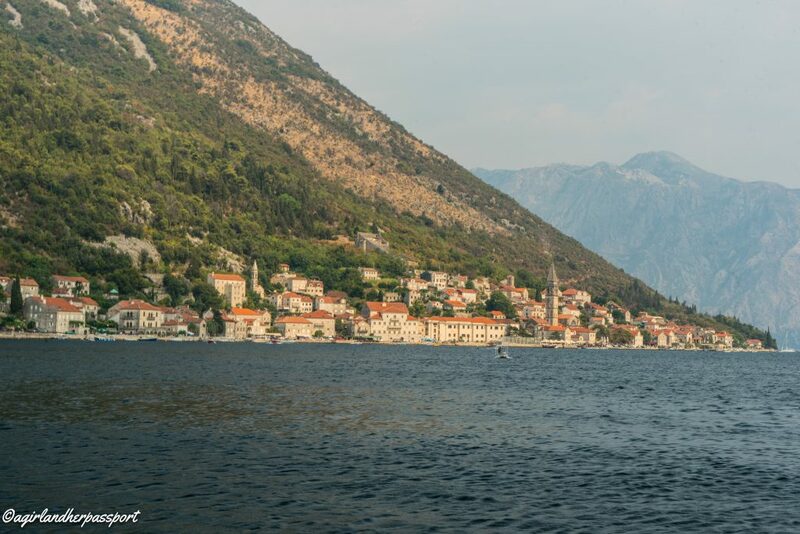 When most people think of Montenegro, they think of the town of Kotor. 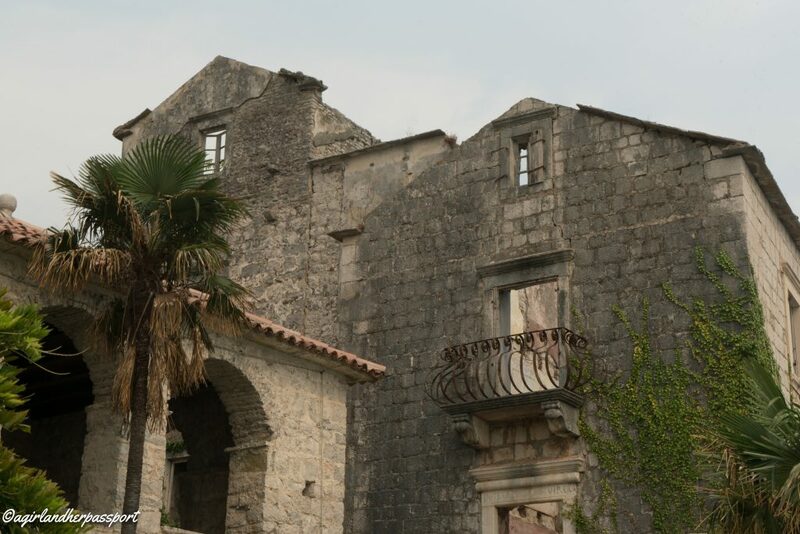 However, Kotor is more than the just the town and includes much of the areas surrounding the Bay of Kotor. 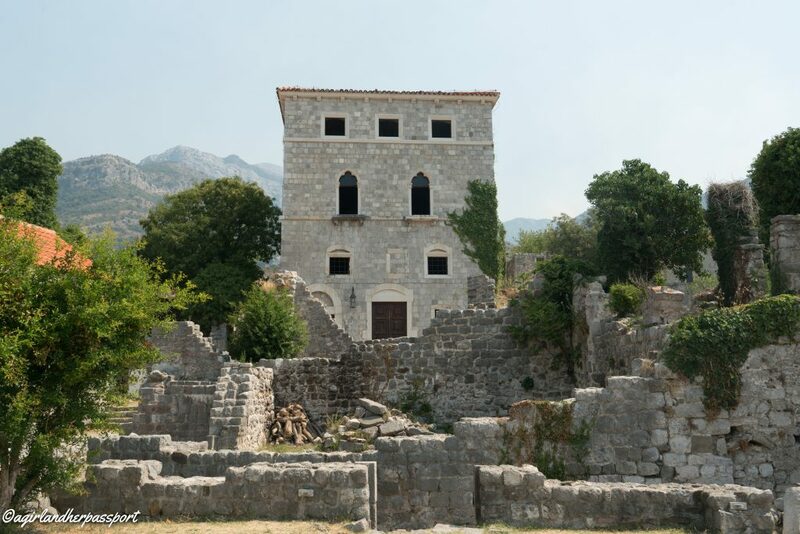 Montenegro also has so much more to see than just Kotor. The highlights of Montenegro, for me, are the old towns or stari grads that dot the coastline of Montenegro. Three of these old towns are located on the Bay of Kotor the other two are located further south on the coast heading towards Albania. 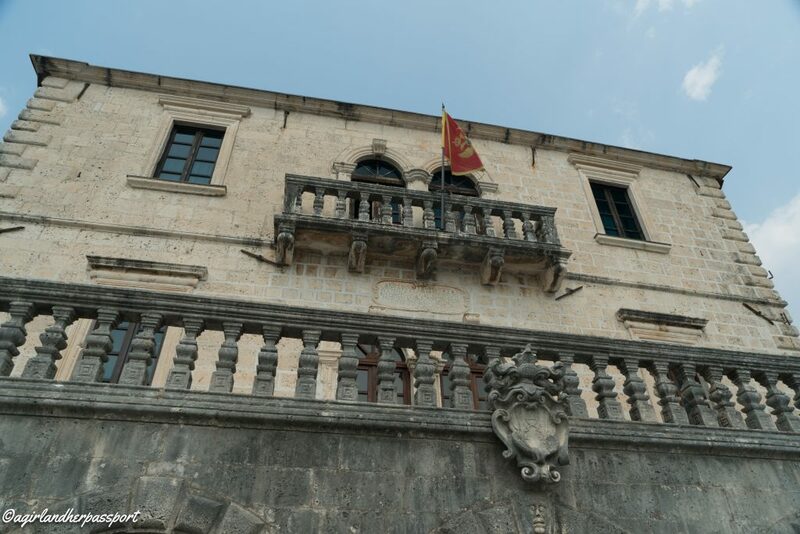 Kotor is the most well-known town in Montenegro. 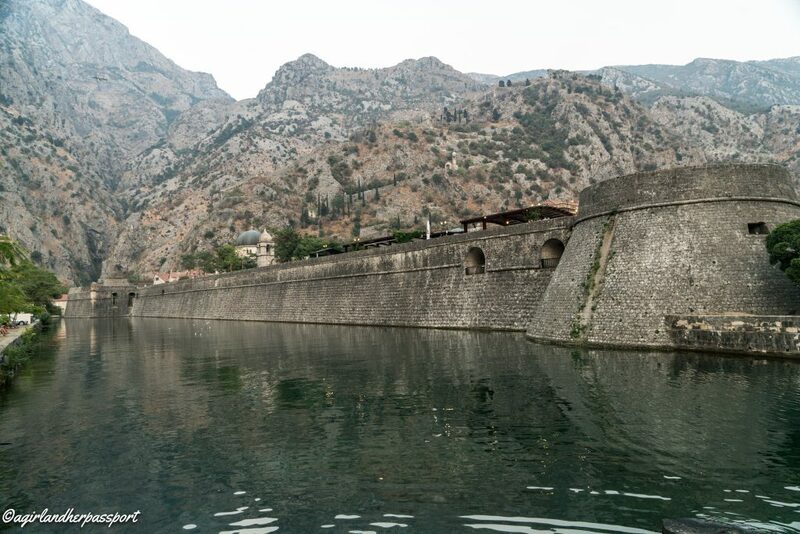 The region of Kotor itself is a UNESCO world heritage site and includes the old town. The old town dates back to the 13th or 14th century, although much of it was destroyed in the 1667 earthquake. 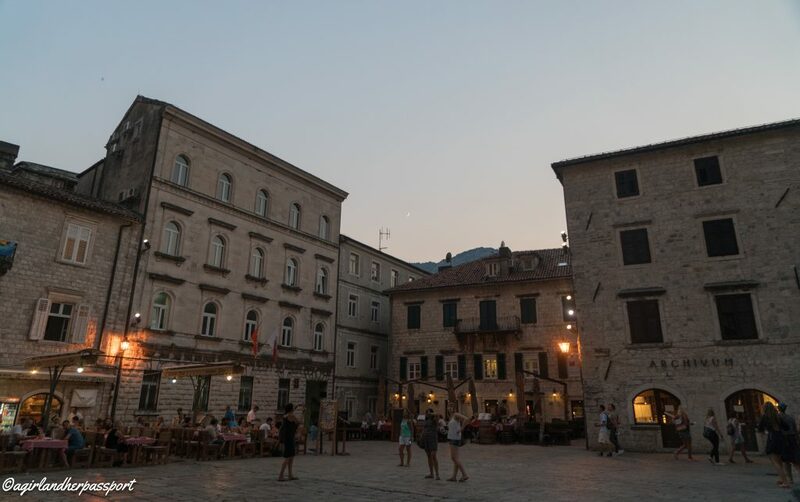 Kotor has been held by many countries and seems to have changed hands back and forth many times even as recently at 1941 when it was part of Italy. There are several entrances to the old town, and I suggest you explore the town from each one as it gives a different perspective. You can climb up to the walls in some sections as well. If you are ambitious, you can climb to the top of the mountain above to the fortress. 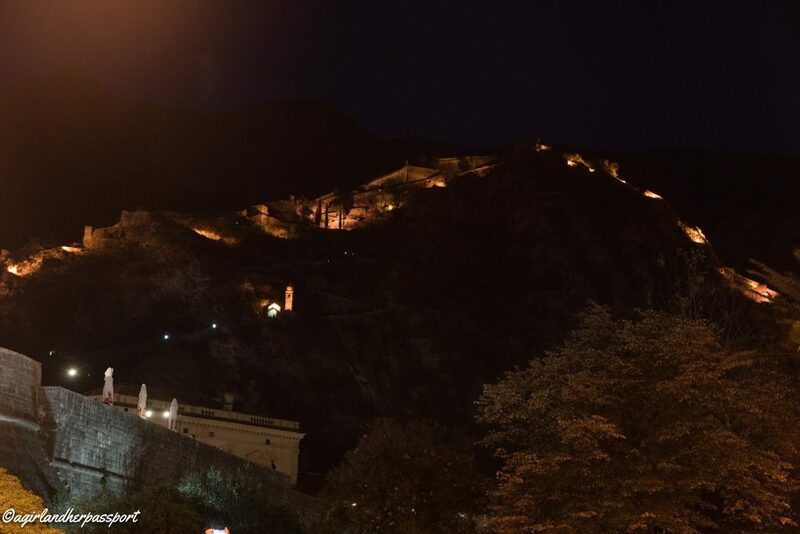 If you want an amazing view of the fortress and walls at night, I suggest you eat dinner at the Hotel Hippocampus on their rooftop. It is not very big, so make reservations. 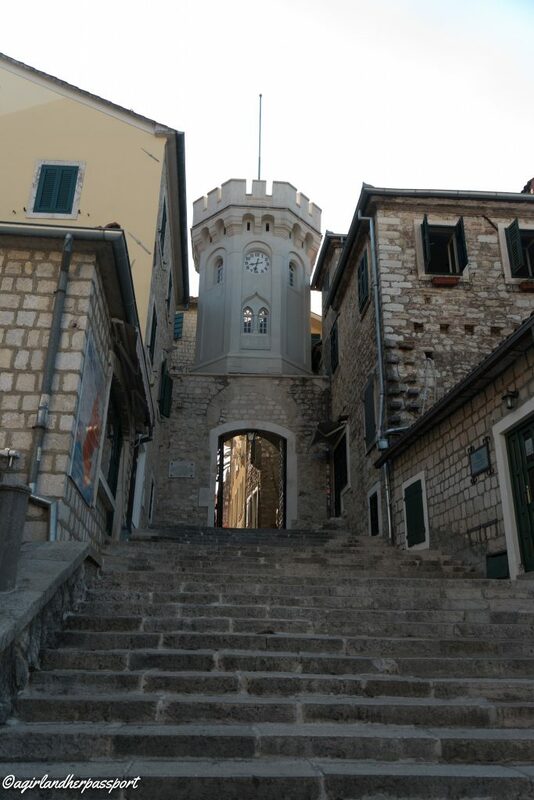 Herceg Novi is the first town on the Bay of Kotor. It was founded in the late 14th century. The old town right on the water and it makes a difficult to reach as the new town has built up around it. You have to park and walk down a hill to the old town and then walk up some stairs into the town. There may be another way in, but I couldn’t find it. Your goal is to get to the Forte Mare or Sea Fort to see the beautiful views. I definitely see why the people chose this spot. 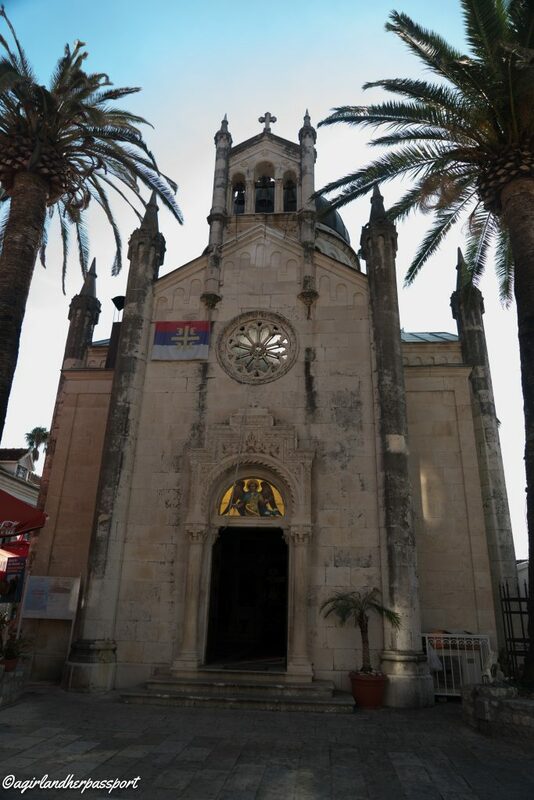 Herceg Novi’s old town isn’t as large as some others, but it has several beautiful churches to see. 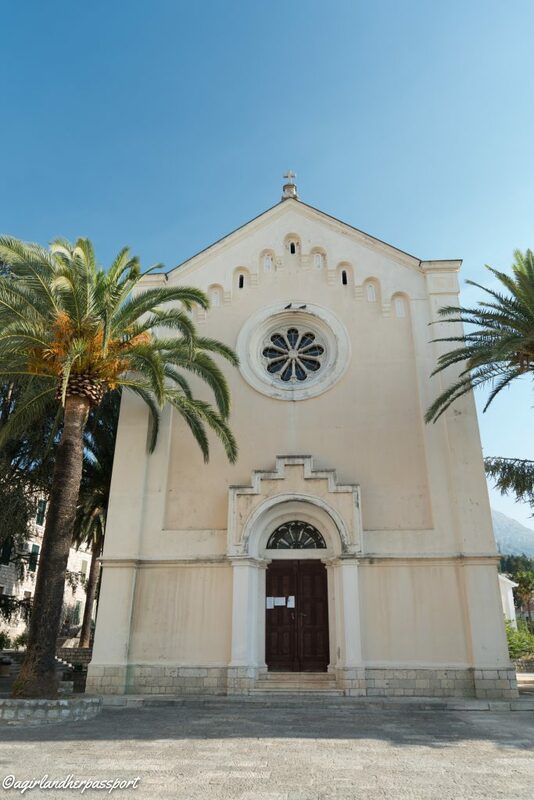 Perast is also located in the Bay of Kotor. The drive from Kotor to Perast is short. However, Perast is all old town, and you cannot drive into the town. There are parking lots at each end, which you have to pay to park. However, Perast was my favorite old town in Montenegro. 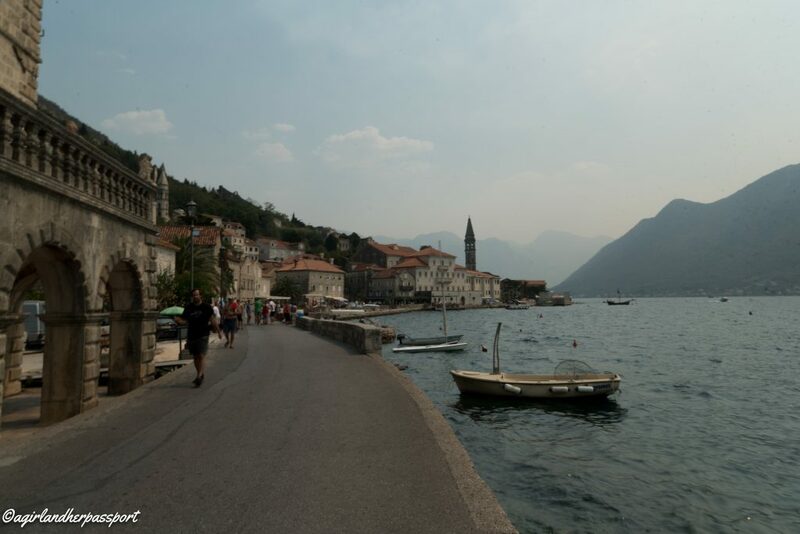 Perast was easily walkable since is flat. There is a small but good museum as well. Also, this is where the famous churches in the bay are located. 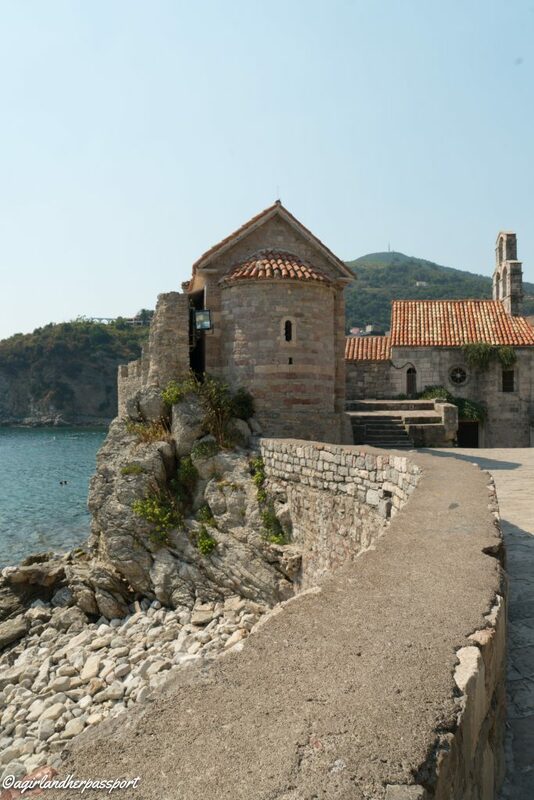 Our Lady of the Rocks and Saint George Monastery are two island churches in the bay. Unfortunately, due to forest fires, I could never get a clear picture of them from Perast. You can take a boat to Our Lady of the Rocks. Saint George is private. 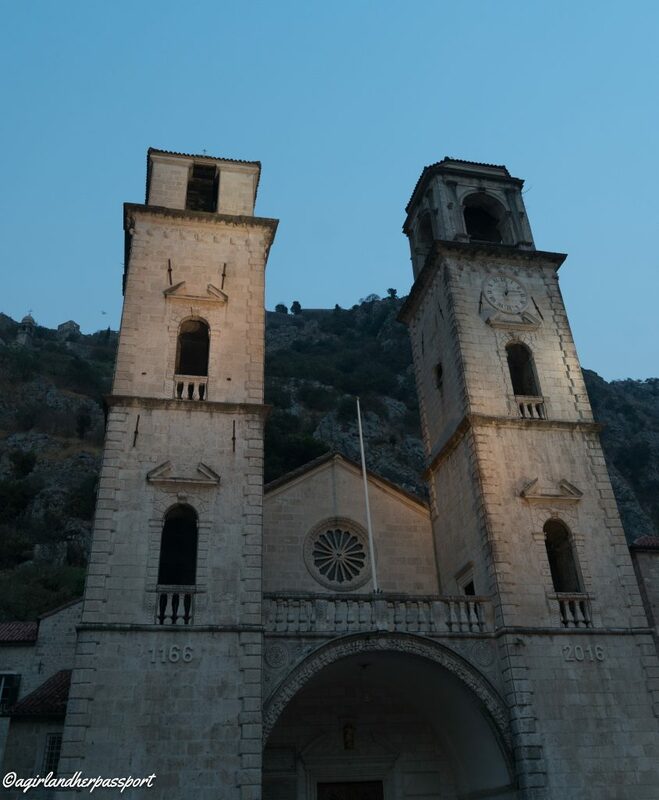 Perast also has the highest bell tower on the Adriatic Coast. Getting out of the Bay of Kotor now we head to Budva. 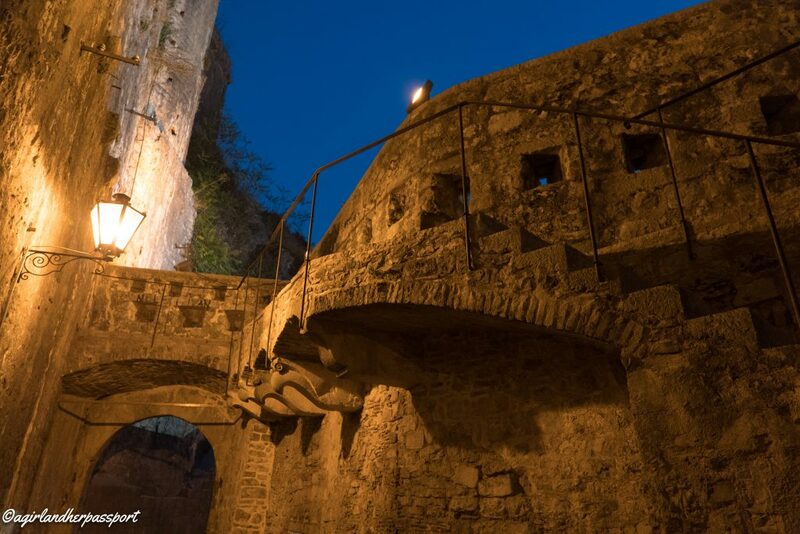 Budva’s old town is walled like Kotor’s. 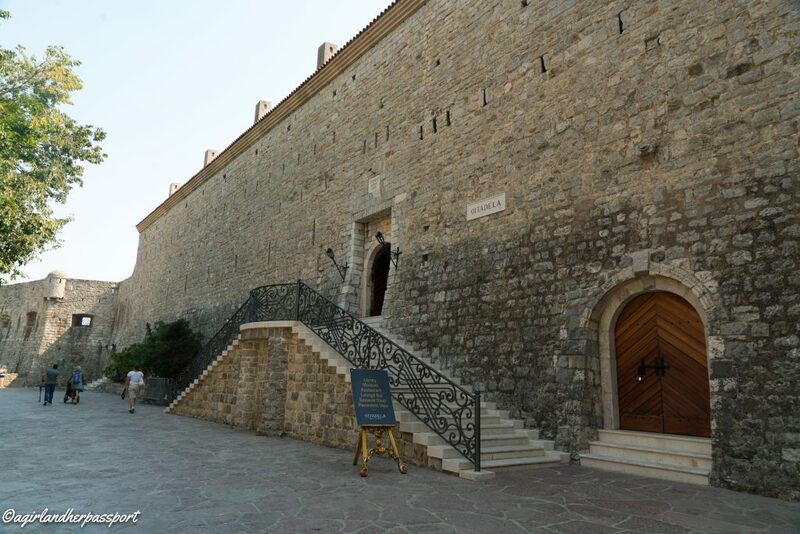 Budva is much older though and dates back to the 5th century. 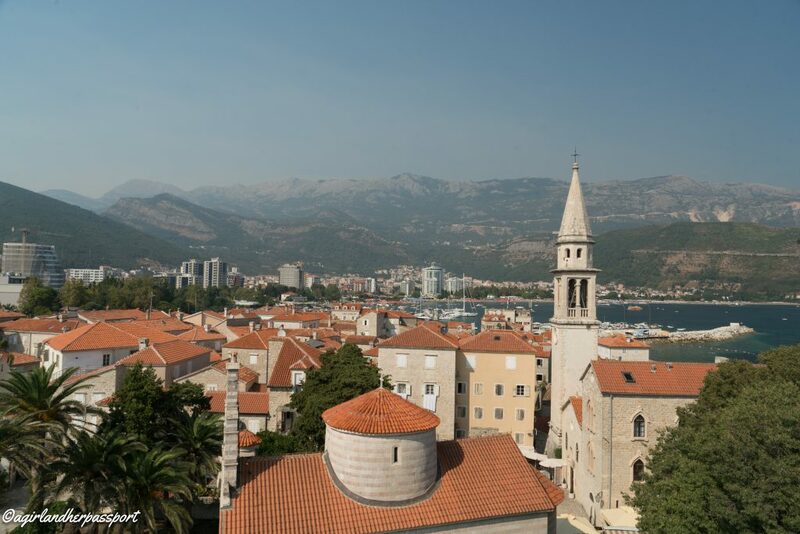 Another stunning location as Budva is right on the Adriatic Sea and has some great beaches even inside the old town and right outside as well. 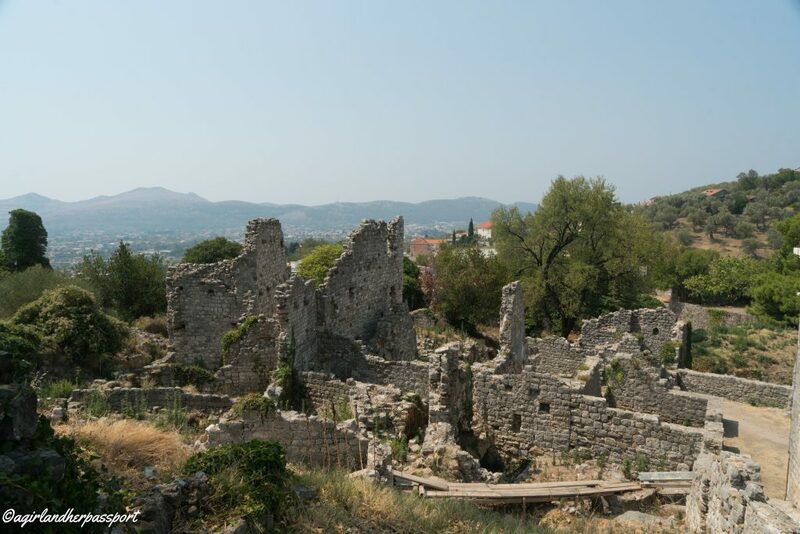 After you explore the old town, visit the Citadela inside the old town to see the old Citadel and have a delicious lunch with a view! Further south, we come to Bar. Stari Bar or Old Bar is not in the new town. It is a short drive up the hill from modern Bar. 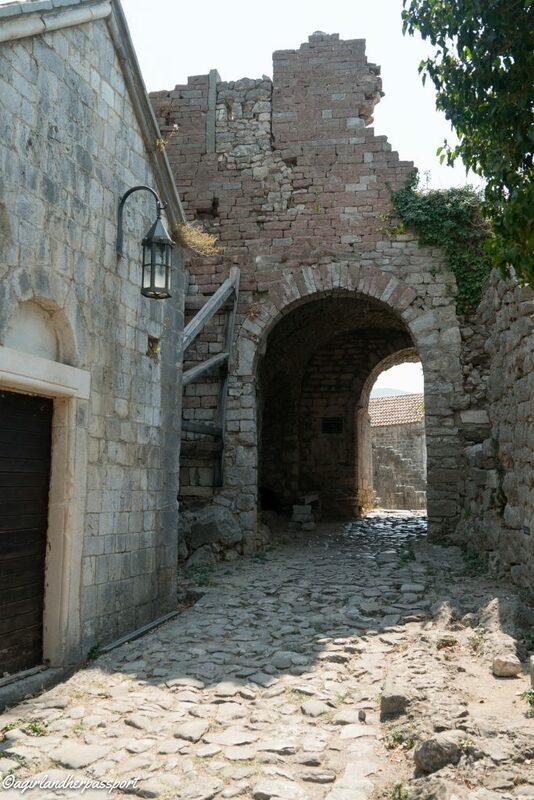 Stari Bar is not as well preserved as some of the other old towns. However, because of its location, it offers stunning views of Bar, and you can see the Adriatic from Stari Bar. Some buildings have been restored, and you do have to pay a small fee to enter, but it goes to conservation. Sveti Stefan make look familiar to you as it is a frequently used photo when people are writing about Montenegro. The secret is that this old town is now a resort and you can only go there if you have reservations to stay or restaurant reservations. Given the cost was over €800 a night, I wasn’t going to be staying there. However, if you are driving, you can stop at the bus stop on the hill above Sveti Stefan and get a great view of the whole island. You can also walk down the hill to the island and gawk at it! Have you been to Montenegro? What was your favorite part?